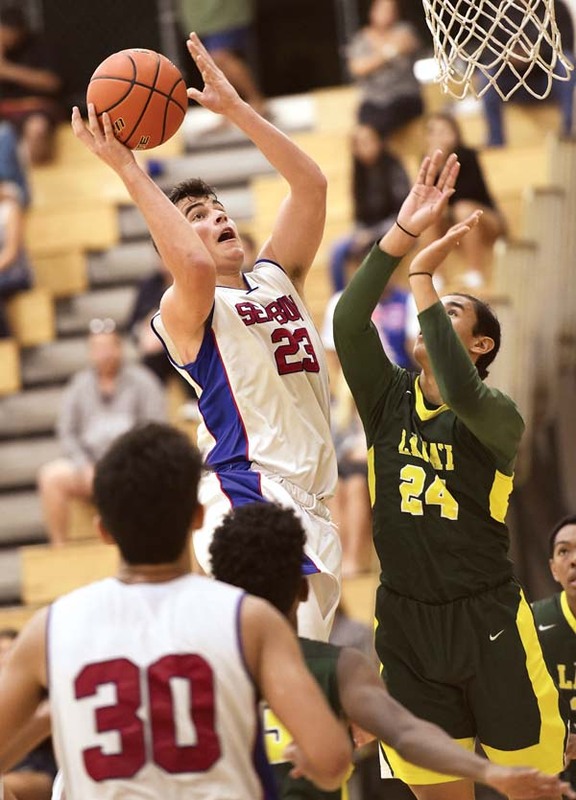 OLINDA — This game started as a battle of unbeatens in the Maui Interscholastic League Division II boys basketball ranks, but it didn’t play like that for very long. Seabury Hall has been here before, while Lanai has not. It showed in the Spartans’ 72-39 win over the Pine Lads on Friday night at Erdman Athletic Center. 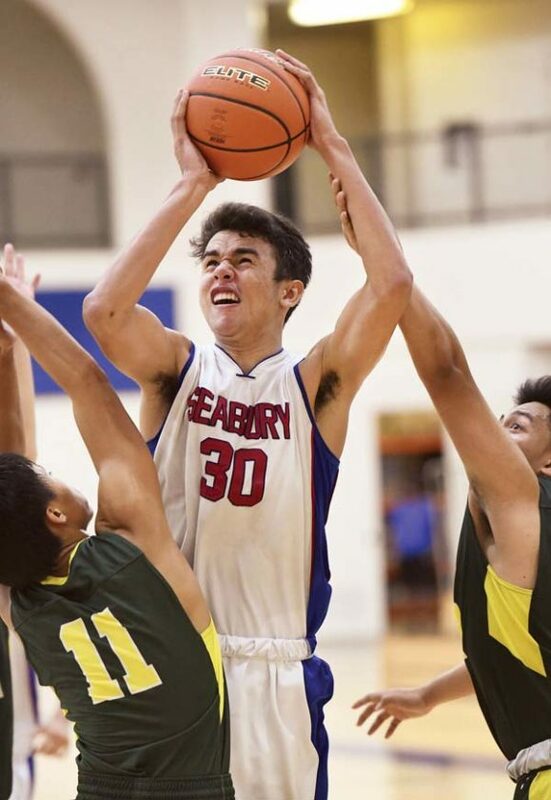 Seabury Hall (7-0), the eight-time defending MIL champion, rolled to a 22-11 lead at the end of the first quarter and stretched that to 41-26 at halftime. In the third quarter, they took complete control with a 23-5 advantage behind nine points by Konohia. The MIL receives only one spot to the state tournament, so each team knows how important these games are. Conner Jenkins had 15 points, Isaiah Payne added 12 and Noah Payne had 11 for the Spartans. The Pine Lads had no answer for Konohia in the lane. Lanai coach Jimmy Fernandez said his team did not respond the way it needed to in the second half. Naighel Calderon led Lanai with 14 points, while Arjen Uminga added 10. Devin Vidad 0, JJ Dulay 3, Joel Nisperos 0, Jayden Castillo-Pagay 0, Naighel Calderon 14, Kane Tubera 0, Arjen Uminga 10, Andre Adams 0, Devrene Kahananui Alejado 0, Morgan Jonas 4, Jamahl Adams 4, Kaleb Alboro 2, Elijah Gima-Maltezo 2. Noah Payne 11, Carl Molinaro 1, Gabriel Medallada 0, Brayden Hasegawa 0, Isaiah Payne 12, Rolando Berdal 3, Caden Granum 0, Kai Preseault 7, Conner Jenkins 15, Kama Konohia 23, JD Pells 0, Joaquin Donez 0. 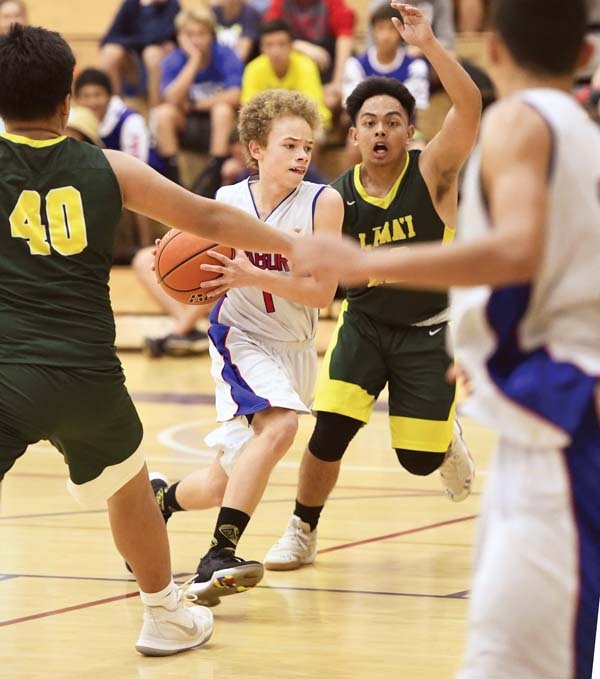 Molokai vs. St. Anthony at War Memorial Gym, 10 a.m.
Haleakala Waldorf at Hana, 10 a.m.
Lanai at Seabury Hall, 11:30 a.m.
Lahainaluna vs. King Kekaulike at Lahaina Civic Center, 7 p.m.